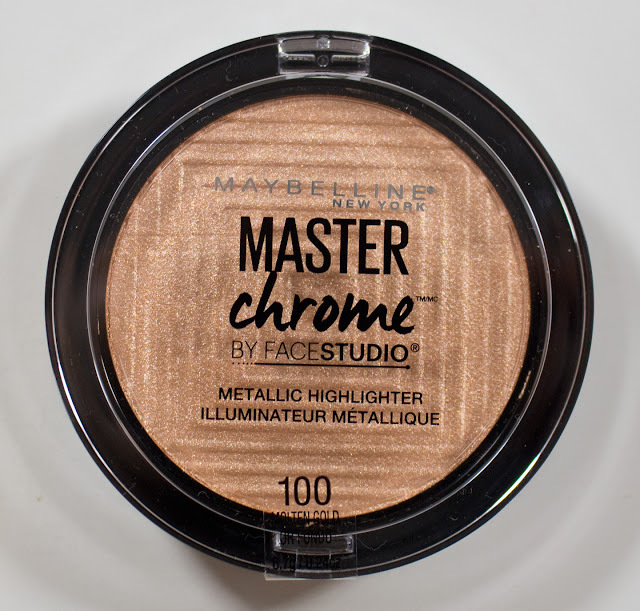 Maybelline Master Chrome Metallic Highlighter in 100 Molten Gold. 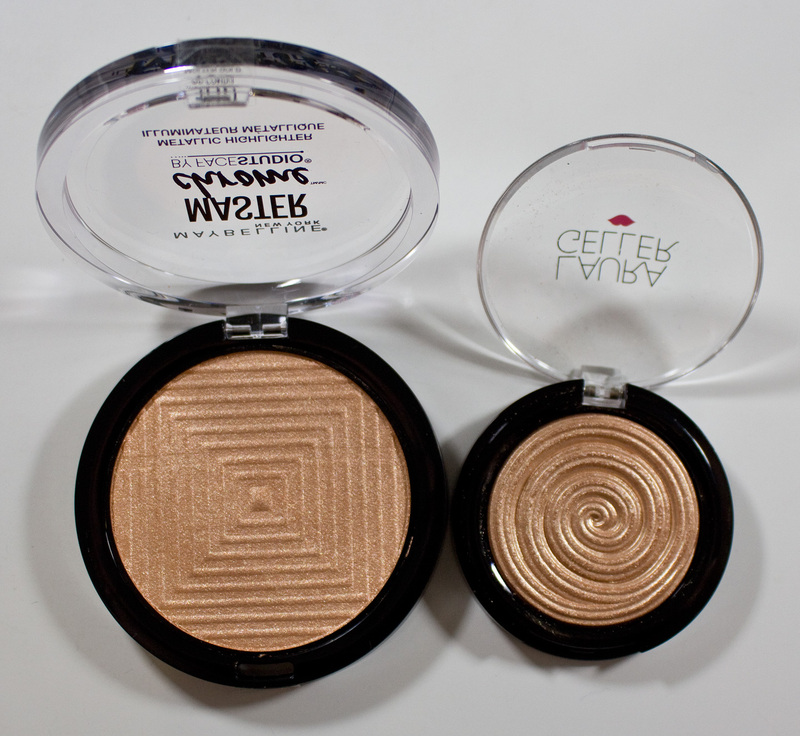 The Maybelline Master Chrome Metallic Highlighter retails for $9.99US and $12.99CAN for 0.24oz. /6.7g of product. 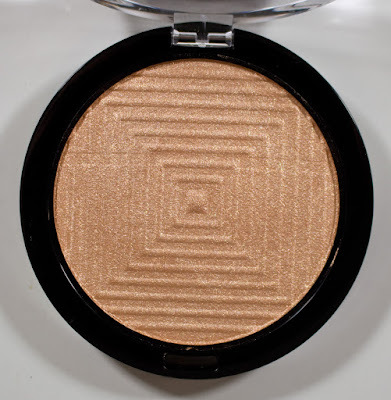 Maybelline Master Chrome Metallic Highlighter : Caprylic / Capric Triglyceride, Bis-Diglyceryl Polyacyladipate-2, Diisostearyl Malate, Phenyl Trimethicone, Dimethicone, Microcrystalline Cellulose, Dimethicone / Vinyl Dimethicone Crosspolymer, Caprylyl Glycol, Ethylhexylglycerin, Synthetic Fluorphlogopite, Sorbic Acid, Sodium Dehydroacetate, Tocopheryl Acetate, Hydrogen Dimethicone, Tocopherol, Calcium Sodium Borosilicate, Calcium Aluminum Borosilicate, Silica, Tin Oxide. 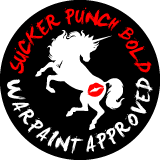 May Contain: Mica, CI 77891 / Titanium Dioxide, CI 77491, CI 77492 / Iron Oxides. The Maybelline Master Chrome Metallic Highlighter formula is like butter to work with and apply to the skin. 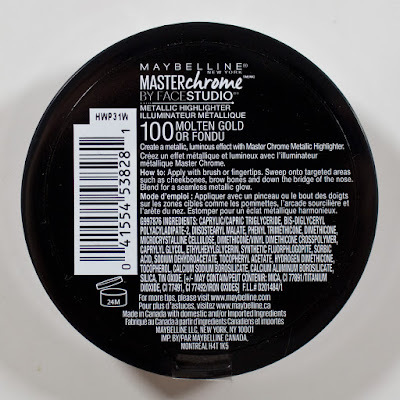 It has an almost creamy texture probably because of the higher silicone content (Phenyl Trimethicone, Dimethicone, & Dimethicone / Vinyl Dimethicone Crosspolymer). 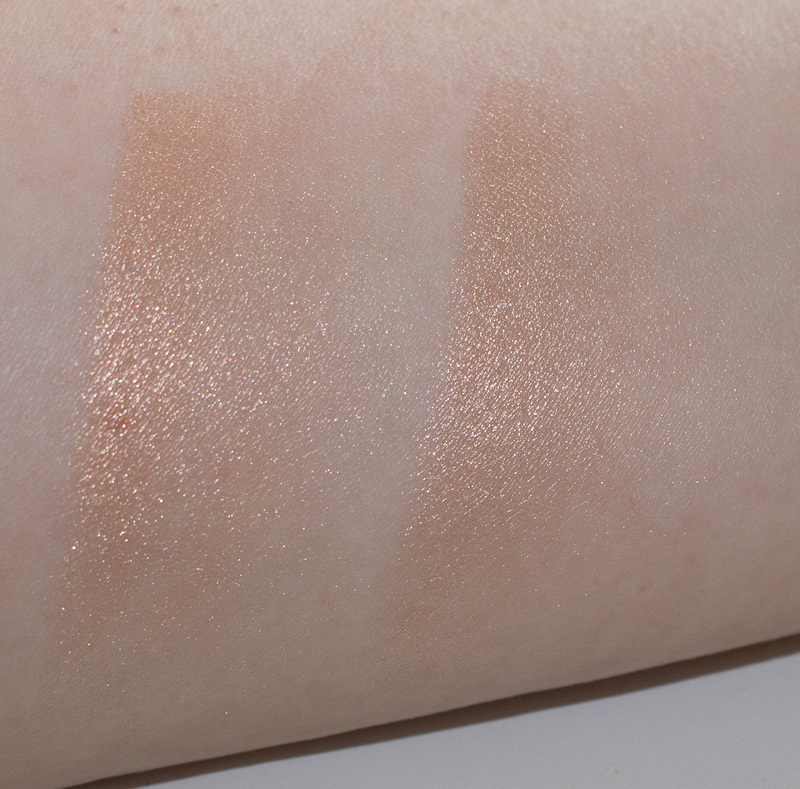 Thes texture is even creamier than my current high-end formula with Becca. 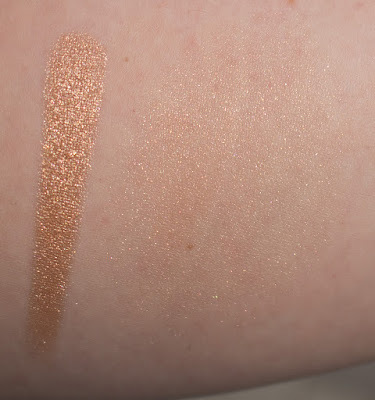 It also shares the finely milled mica powder used for the pigment as well. Maybelline Master Chrome Metallic Highlighter in 100 Molten Gold is a bright gold with a shimmer finish. Packaging: The compact is a basic clear lid with a snap closure. 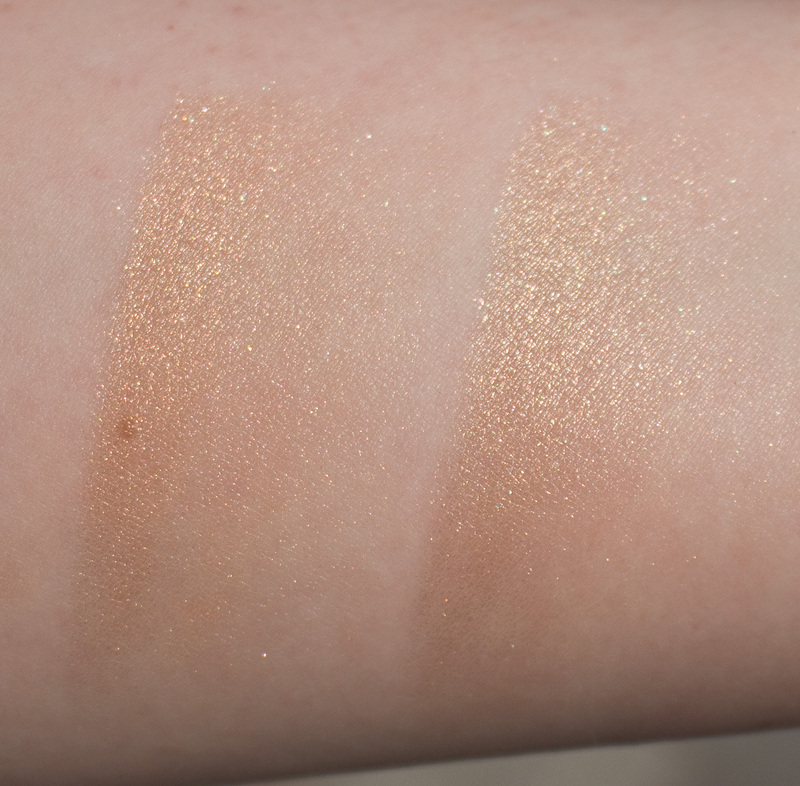 Daylight swatches: Maybelline Master Chrome Metallic Highlighter in 100 Molten Gold, applied heavily and buffed out. Flash swatches: Maybelline Master Chrome Metallic Highlighter in 100 Molten Gold, applied heavily and buffed out. Laura Geller Baked Gelato Swirl Illuminator in Gilded Honey. The Laura Geller Baked Gelato Swirl Illuminator in Gilded Honey is lighter and less warm compared to the Maybelline Master Chrome Metallic Highlighter in 100 Molten Gold. 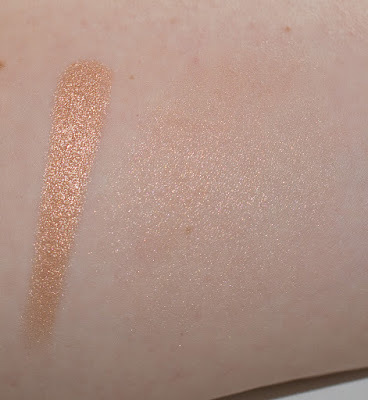 I don't other these next to dupes anymore but the BECCA Shimmering Skin Perfector Pressed in Champagne Pop is warmer but still lighter than the Master Chrome Metallic Highlighter in 100 Molten Gold. The Estee Lauder Bronze Goddess Pure Color Illuminating Powder Gelee in 01 Heat Wave is a less warm and still slightly lighter than the Master Chrome Metallic Highlighter in 100 Molten Gold.